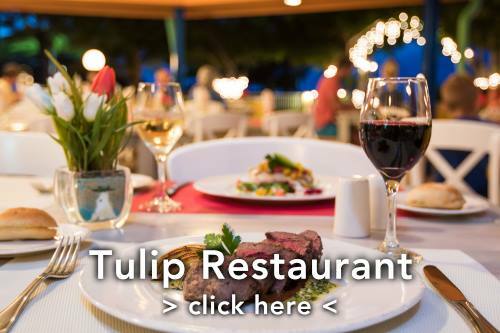 Master Chef/Owner Vittorio Muscariello is already well known for having worked for more than eleven years as Executive Chef in the best authentic and original Italian restaurants on Aruba (Valentino's 1988-1994 and La Trattoria el Faro Blanco 1994-1999). dinner last night was a very unpleasant experience.Our basic dinner took over two hours. the Attitude of the owner and especially the waiter Riccardo was a disgrace. Riccardo snapped at one of us for as he was taking the order, I changed the spaghetti alle vongole to linguini, and the respond was YOU already ordered.. the minute we sat down we ordered the focaccia to go with our appetizers which never came because he said they were too busy,. we had a straight view of the pizza oven and saw very few pizzas or focaccia coming out. we then asked 3 times for the bread basket to two different waiters.Riccardo never asked if our food was OK. we asked for the bill and waited 20 minutes for the receipt and credit card. we had a 10% discount card from the Marriott hotel , We did not see the 10% discount and the owner responded CAN you read. And ultimately confused us into thinking he had deducted it, but the final bill did not show. How can an owner tell a costumer Can YOU Read and still not give you the discount. I would tell all of you in Aruba. Stay away from Hosteria Vittori. This restaurant is NOT family friendly. Plain and simple, went here with my family last night and was told by another patron from across the dining room that she "expletive" hates kids. Being that we had a child in our group, we found that very offensive. The manager did nothing about and asked US to changes tables. Did not once approach the woman who made the comment. We left and will NEVER go back. Apr 13, 2014 - posted by AndrÃ©s N.
Tengo muchos años visitando la isla seguidamente y es fascinante ver su desarrollo en la mejora de su oferta gastronómica . Entre estos servicios la cantidad de restaurantes italianos que han abierto sus puertas, los cuales he tenido oportunidad de probar. Sin embargo considero que la historia da victorio es el único restaurante de auténtica comida italiana, sus sabores, sus aromas me hacen sentir como en Italia . We haven't been to Hostario for about 5 years as our last 2 visits weren't that great. Following the reviews, we decided not waste a "dinner" there. With no dinner plans, we were wandering around the high rise district and decided to go in and give it another try. Hmm...my lasagna didn't taste that wonderful and I couldn't finish it. It had an odd flavour to it. My spouse has spaghetti and found it "ok". Nothing special so back to our favourite Italian restaurant in Aruba...ANNA MARIA'S! We have been coming to Aruba for 14 years and this has always been a favorite. Last night we went to Hostaria da Vittorio and it was like a totally different restaurant. The bread tasted like frozen rolls, the Chicken Parm was tough and tasteless; the gnocci was awful with chunks of mozzarella and cherry tomatos instead of their usual red sauce; and the lasagne was no better than a stoffers frozen meal. I don't know if it's under new ownership or what happened, but our favorite restaurant is no longer. Such a shame. 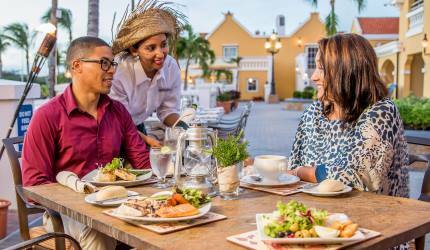 Now we will have to find another favorite restaurant in Aruba. We ate there recently. I had the lasagna the wife had chicken parm. Both were extremely bland and flavorless. My lasagna was borderline inedible . First and last time for us here. I've been to this restaurant a few times in the past and thought it was good. So my friend and I decided to try it again for lunch. We both ordered a bowl of pasta each. I had the Orrecchiette with broccoli rabe and sausage. They had the Puttanesca. They were both bland and I think I had only a 1/4 sausage for the whole dish. We both each had a glass of house wine. I could not believe when I got the bill for $80! They had the nerve to charge $12 for a glass of house wine. The pasta dishes were $23 each which I thought was too expensive as well. The tip of course is included. Needless to say, we will not be back. 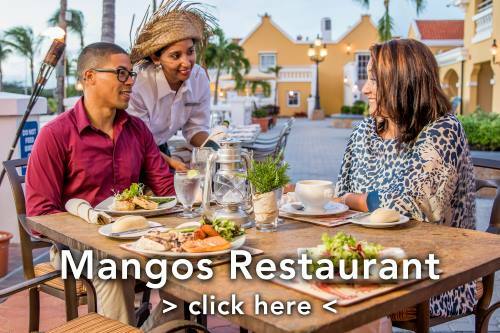 My husband an I have been going to aruba for the past 10 years ,we ve tried many restruants, this is are favorite one on the island, durning our week stay we eat there maybe 3 or 4 times. Every time we ve been there our food is wonderful ,and we always tell everyone about it . Cant wait to go back . My husband is from sicily an loves the food an the service .